As everyone starts to look for “the big technology trends of 2016”, it seems that one technology is overshadowing all others – the Internet of Things. We take a look at why robotics is actually ahead of the game with the IoT trend, and show that some industrial robotic companies have been involved with it for 10 years already. It’s around this time of year that people start making a lot of predictions about the future (ourselves included, here were our predictions for 2015). Technology journalists get all excited about what they think will be the big “Tech Trends” of the New Year. For 2016, popular upcoming robotic trends include affordable social robotics (e.g Pepper and Buddy), an increasing use of robotics in mining and agriculture, connected autonomous cars, drones, drones and more drones, a proliferation of robotics startups, among others. 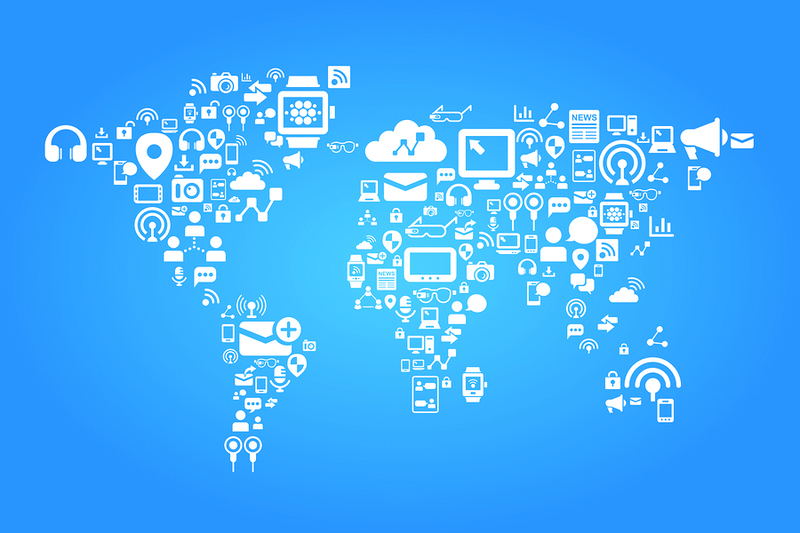 But one tech trend is overshadowing them all for the upcoming year: The Internet of Things (IoT). Predictions about the IoT being “the next big thing” are coming from all technology sectors, from information technology and computer security to investment. It’s not all hype: there are real devices being produced. At the end of 2015, IoT devices had begun to show up on the consumer market, including a smart cup that tells you how much water to drink and a stealth gadget that ensures the security of other connected IoT devices. Interestingly, in the field of industrial robotics, the IoT has been well underway in the field of industrial robotics for a quite few years now. Back in 2013, one of our top takeaways from RoboBusiness 2013 was how IoT is an important concept in robotics. Then, in our recent takeaways from RoboBusiness 2015, we heard about numerous examples of companies using IoT concepts. Why is the Internet of Things Important for Industrial Robotics? In 2015, ABB placed itself at the heart of IoT technologies in industrial robotics by becoming part of the Industrial Internet Consortium. Although IoT might seem new, ABB announced earlier this year that their IoTSP (Internet of Things, Services and People) strategy has been underway for the last 10 years. They have been finding ways to integrate all of the sensors and devices on a manufacturing shop floor to improve all areas of their operations, including: reducing the downtime of robots, improving the reliability of systems and optimizing processes. As they describe in the above video, there are great benefits when every robot is able to store and analyze its own usage data, and then is able to communicate that data smartly to other connected devices. For example, it means that ABB doesn’t have to schedule the maintenance of a robot by a simple, old-fashioned “after 10,000 hours of uptime”, which might be overly conservative. Instead, the robot itself can monitor its own actual usage and report on its performance. ABB can schedule maintenance of the robot at the perfect time to avoid interfering with its operations, by looking at when the robot is actually used most. It can also mean that problems are caught before they have even become problems. In 2014, KUKA integrated with Microsoft’s Azure IoT platform to create a “connected factory” of 60,000 devices and 259 robots. This 24-hour automated factory is able to manufacture automobiles very flexibly thanks to the IoT approach. This application shows that IoT concepts can be well and truly integrated into industrial robotics. We can expect to see many more examples like this turning up in the coming years. Is There a Common Protocol for the Internet of Things? In the consumer world, for the moment at least, there are already four big competing protocols – Qualcomm’s AllJoyn, Intel’s IoTivity, Apple’s HomeKit and Google’s Brillo. There are also a load of smaller platforms. Although these consumer protocols might be used for home robots, industrial robotics is going to need a slightly different protocol. Security will be paramount, not least because a successful hack could do real damage if it gained access to a robot. There are a few potential options for an Industrial Internet of Things (IIoT), including the Connext DDS protocol from RTI and Predix from General Electric. You might think that it’s going to be difficult to decide on a standard. However, one of the proposed strengths of the IoT approach is that it (supposedly) does not rely on a standard protocol. It looks like the IoT might not end up with those long, heated discussions that we’ve had in the field of robotics research before we finally ended up with ROS as an (almost) universal platform. Instead, the IoT is all about the communication paradigm between many devices regardless of the specific protocols used. For example, all of the robots in my factory might communicate using one platform, while all the robots in your factory might use a different platform. Even though my robots couldn’t communicate directly with your robots, we would both still be using the IoT approach. Despite this, it is likely that some sort of linking protocol will become necessary in the future. But for now, we shall just have to wait and see.